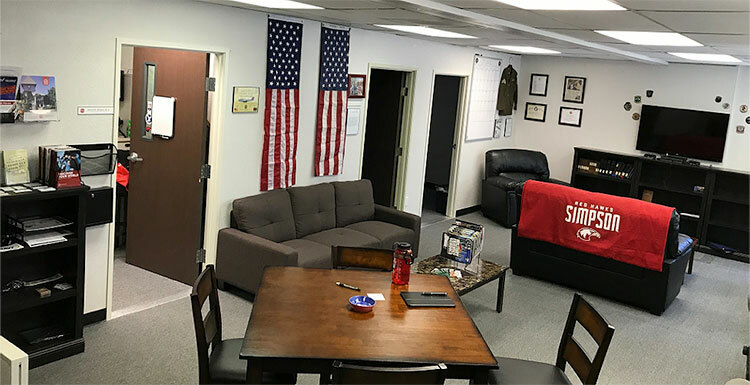 The Veterans Success Center (VSC) is available to all service members, veterans of the U.S. military, and their guests. 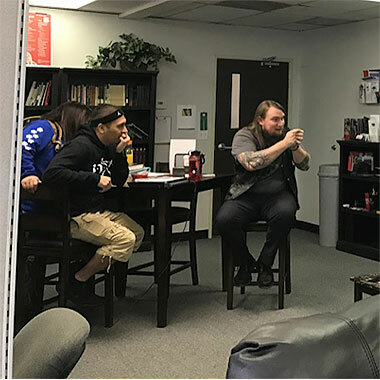 It is a community space on campus where student veterans can engage with each other while having access to complimentary resources. 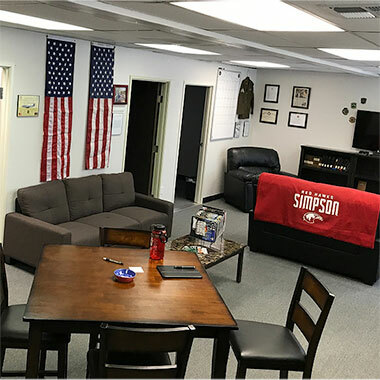 Simpson University has committed to providing the student veterans community with a “one-stop shop” for everything related to their education and career planning. Simpson's Veterans Success Center is the largest student veteran center in California's North State area. To provide pathways of successful transition for the development of student veterans in mind, heart and transformative change through leadership, community and life-long learning. 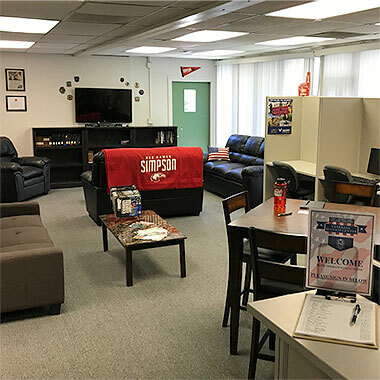 The Veterans Success Center has multiple computer stations, group and independent study rooms, complimentary printing, T.V., book loan program, and concession and eating area. SAVE team members will be available at specific times each month. Schedule an Appointment with the Director of Veterans Success Center.